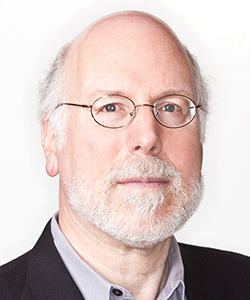 After two remarkable careers, one in cognitive science, overlapping the next in academic leadership, APS Fellow Stephen M. Kosslyn has embarked on a third, designing new institutions of higher learning based on the best evidence from the cognitive sciences. His pathbreaking work on imagery led him from elegant experiments to AI to showing that creating images, indeed, thinking, could be seen in the brain in real time. That work led to the publication of numerous influential articles and books and earned him many prizes and awards. His leadership roles at Harvard led to the directorship of the Center for Advanced Study in the Behavioral Sciences. From there he served as Founding Dean and Chief Academic Officer of the Minerva Schools, an innovative international university about to graduate its first class. In this column he outlines some of the principles he has applied to designing educational institutions in the 21st century. It is a truism that studies of learning, memory, reasoning, and related abilities should inform best practices in education and — by the same token — that the goal of educating people effectively should guide at least some research in these fields. Such sentiments are common but they are not often acted on systematically. I have had the rare privilege of using psychological science to help develop from scratch not one but two college curricula — first at the Minerva Schools at KGI and currently at a new educational institution that will be announced later this month. I began with a crucial fact that has been documented extensively (e.g., Freeman et al., 2014): Active learning is vastly more effective than passively watching lectures. Active learning relies on having students use information in some way, such as in debates, role playing, or group problem-solving. The superiority of active learning is not a surprise, given what we have discovered about learning and memory. This literature can be organized into a set of 16 principles that fall under two large “maxims” (Kosslyn, 2017). One of these maxims is “Think it through.” The more you pay attention to and deeply process information, the more likely you are to understand and remember it. For example, the principle of deliberate practice (which falls under this maxim) leads us to use feedback to focus on what needs to be learned and to pay attention to and deeply process that specific information (e.g., Ericsson, Krampe, & Tesch-Romer, 1993). For instance, if you want to learn how to pronounce a particular French word, you would say the word and have a native speaker repeat it back correctly. You would — and here’s the key bit — pay attention to the disparity between what you just said and what the native speaker says. You then would use that information to say the word again, trying to reduce the disparity between what you said and what you should say. The other maxim is “Make and use associations.” Without question, we can improve our understanding and memory by organizing information effectively. For example, during learning we should identify and associate the to-be-learned information with “retrieval cues.” For instance, when you meet a new person, you can learn her name by thinking of someone else you know who has that name and then looking for a feature or characteristic of the new person (such as the shape of her eyebrows) that reminds you of the person you already know. That shared characteristic can help you retrieve the new woman’s name next time you see her. Although I organized the literature into 16 principles that fall under these two maxums, Willingham (2009) organized it into nine and Graesser, Halpern and Hakel (2008) into 25. These different formulations capture the same research findings but structure them differently. I organized the findings with an eye toward using them to design active learning exercises, which drew on combinations of these principles. To design active learning exercises, we also need specific learning objectives. The psychological sciences have contributed ways to frame such learning objectives. At Minerva we relied on the idea of production systems, popularized by Newell and Simon (1972). A production system comprises a condition/action pair; if the condition is satisfied, the action is performed. For example, the condition might be “It is raining” and the action “Get an umbrella.” We used this framework to define two types of learning objectives. For a “Habit of mind,” the condition part can become automatic (that’s why it’s called a habit), such as could occur with the learning objective “When communicating, adjust what you say based on the audience.” Recognizing the condition — communicating — can easily become automatic. The hard part is the action: Exactly how you should adjust what you say or write depends on many factors, such as your goals, the audience’s interests and knowledge, and the amount of time or space you have. Using Kahneman’s (2011) vocabulary, with practice the condition can be identified via System 1, but the action will still require working memory in System 2. At Minerva we also specified a second type of learning objective that we called “Foundational concepts.” In this case, the situation typically was reversed from what we found with habits of mind: Now the action was relatively straightforward but the condition was not. For example, it’s easy to do a t-test (the action), but much harder to know exactly when it is appropriate to do so (the condition). Using a production system framework to characterize habits of mind versus foundational concepts was useful because it focused instruction on what was most difficult for students to learn. At my new institution we are again drawing on concepts from psychological science. To reach a wider range of students, we will recast production systems into a “Recognize/access/apply” cycle, where our goal will be to make as much of this process automatic as possible. We now adopt what we call a “Hacks and Heuristics” approach. “Hacks” are solutions to problems, although often not elegant solutions. Using “five-paragraph form” to write an essay is a good example. In contrast, “heuristics” are procedures that often (but not always) will lead to a solution. The example offered above about using associations to learn a person’s name is a heuristic (it will fail if you don’t already know someone who has that name). Findings and concepts in psychological science clearly can spark educational innovation. Moreover, psychological science has developed many methods that can assess whether specific teaching methods are effective. For example, we can conduct A/B testing to assess the effects of varying one specific aspect of the pedagogy (such as assigning students to breakout groups with others at the same level versus assigning them randomly). Moreover, we can administer a pretest before a course and a post-test after it, which would allow us to assess — both at an individual and class level — how effective the course was. We can use such data to address a host of new questions. For example: Do some specific instructional techniques have better outcomes in general? Can we identify which ones are most effective for what sorts of subject matter or populations? 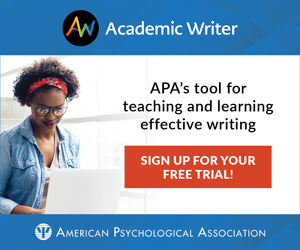 Given the right data, the tools of psychological science will allow us to answer such questions — and the concepts from psychological science will allow us to understand such findings in ways that not only may improve educational practice but also can enrich psychological theories. Freeman, S., Eddy, S. L., McDonough, M., Smith, M. K., Okoroafor, N., Jordt, H., & Wenderoth, M. P. (2014). Active learning increases student performance in science, engineering, and mathematics. Proceedings of the National Academy of Sciences of the United States of America, 111, 8410–8415. Kahneman, D. (2011). Thinking Fast and Slow. New York, NY: Farrar, Straus, and Giroux. Kosslyn, S. M. (2017). The science of learning. In S. M. Kosslyn & B. Nelson (Eds.) Building the Intentional University: Minerva and the Future of Higher Education (pp. 149–164). Cambridge, Massachusetts: MIT Press. Newell, A., & Simon, H. A. (1972). Human Problem Solving. New York, New York: Prentice Hall. Willingham, D. (2009). Why Don’t Students Like School? A Cognitive Scientist Answers Questions About How the Mind Works and What it Means for the Classroom. New York, New York: Jossey-Bass. APS Fellow Stephen M. Kosslyn most recently was Founding Dean and former Chief Academic Officer of the Minerva Schools at KGI. He can be contacted via apsobserver@psychologicalscience.org.